My new web server www replaces axle, my former web server. This server was also part of my plan to downsize and simplify my computing resources. 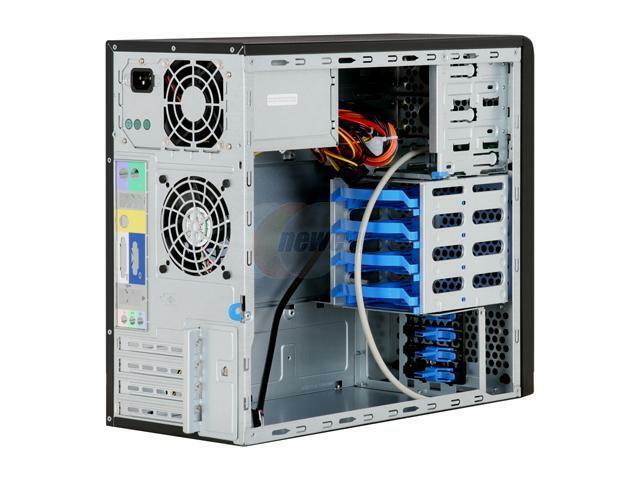 I want to get to the point where I have only two or three machines in the rack, all low-power (MiniITX or MicroATX form factor). Preferably all using similar hardware, all with dual LAN and at least 4 on-board SATA ports. I bought an 80mm fan to populate the empty fan location in the front of the case. I bought the 92mm fan to replace the rear fan included with the case. The 2nd 80mm fan is to blow air across the hard drives via a new hole I'll make in the right side of the case. The Noctua fans are rated for 150,000+ hours, which is well above most fans available. Reliability is very important here. As usual for my headless machines, I'll be running FreeBSD. No issues here, I'm running it on identical hardware on ria.